With its large dimensions, efficient all-wheel drive and a powerful V6 engine, the 2019 Nissan Pathfinder is the perfect vehicle to get through the winter months worry-month. 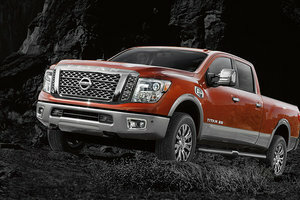 It's not surprising that the Nissan Pathfinder has been this popular for more than 30 years! First launched in 1986, the Nissan Pathfinder has changed a lot since its beginnings. 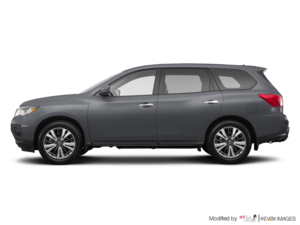 While it has retained the ruggedness that makes up part of its charm, the Pathfinder has also improved in the refinement and technology departments to become the versatile vehicle that it is today. 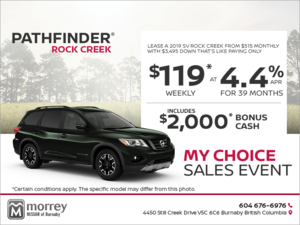 Offered at a very competitive price at Morrey Nissan of Burnaby, the 2019 Nissan Pathfinder comes standard with a powerful 3.5-liter V6 engine developing 284 horsepower and 259 lb-ft of torque. 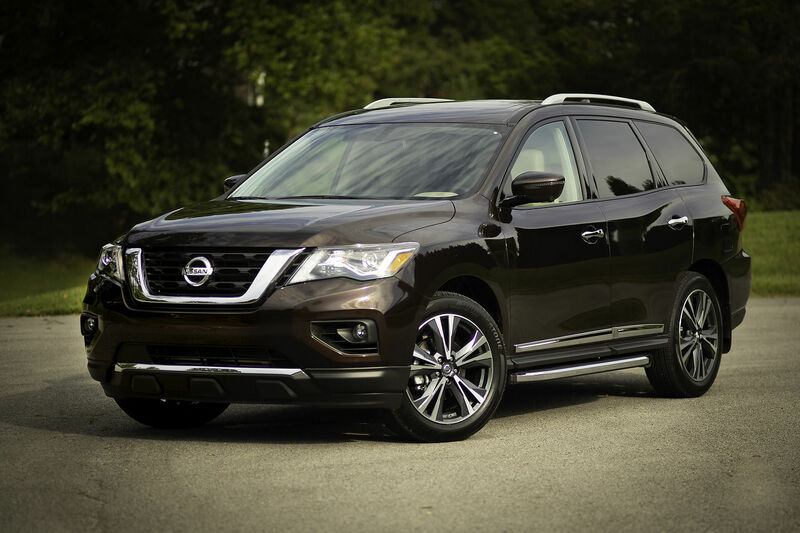 Thanks to this long-proven, strong mechanical design, the Nissan Pathfinder has unmatched reliability while delivering impressive performance and smooth accelerations. The Pathfinder also impresses with low fuel consumption, thanks to the excellent work of its continuously variable automatic transmission, which is also standard on all versions of the 2019 Pathfinder. The Nissan Pathfinder has fuel economy ratings of only 11.6 L/100 km in the city and 8.5 L/100 km on the highway in its front wheel drive configuration. With all-wheel drive, available on all variants of the Nissan Pathfinder, fuel consumption increases slightly to 12.1 L/100 km in the city and 8.9 L/100 km on the highway. 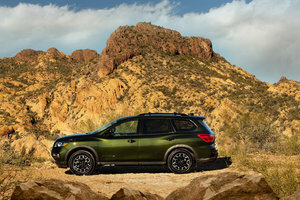 Capable of carrying up to seven occupants and towing loads up to 6,000 pounds, the 2019 Pathfinder proves that a family vehicle does not need to compromise on performance in order to be efficient and refined. Built to make family travel easier, the 2019 Nissan Pathfinder boasts an array of integrations to optimize both the comfort and safety of all occupants. With its EZ Flex system that provides easy access to the third row of seats, the Pathfinder can also be equipped with screens in the front seat head displays to entertain children during long journeys. And while you're on the road, you can count on many driver assistance systems to keep you safe at all times aboard the Pathfinder. 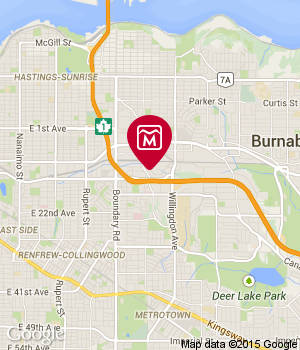 Do not wait any longer and come try out the 2019 Nissan Pathfinder today at Morrey Nissan of Burnaby!